8,500 B.C. to 539 B.C. Around 8,500 B.C., in various places around the ancient world, people began to stop hunting and gathering for food. Instead, they settled down in areas (usually around a constant source of water) that could provide food through agriculture. 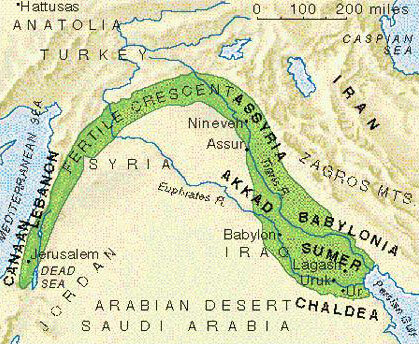 One such area was Mesopotamia (Greek for “land between the rivers”). Mesopotamia is the major part of a geographical area known as the Fertile Crescent. The Fertile Crescent is a long strip of fertile land (historians draw in the shape of an arc) that covers Mesopotamia, southern Asia Minor, and ancient Palestine. Mesopotamia is essentially a plain, lying between several mountain ranges. 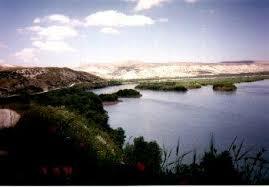 Running through Mesopotamia are two rivers – the Tigris and Euphrates. Mesopotamia existed mostly in modern day Iraq, with some land in Iran and some in Turkey. The 1st civilizations established themselves in southern Mesopotamia, near the Euphrates River, not far from the Persian Gulf. Although the land of Mesopotamia was fertile, the earth did not yield crops easily. There was/is little rainfall, so farmers had to come up with another way of getting life-giving water to their crops. The solution was irrigation. Irrigation is the process of bringing water from rivers or lakes to fields by constructing canals, pumps and reservoirs. Basically, these ingenious farmers found an effective way to bring the water from the Tigris and Euphrates to their crops. With irrigation, large amounts of food could be grown and large populations grew. 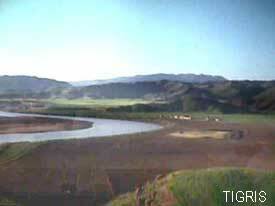 The Tigris and Euphrates flooded occasionally, and unfortunately large areas of crops and homes were destroyed. This was just part of life, but the ancient people of Mesopotamia tried to prevent these floods by appeasing the gods that controlled these natural disasters. It became extremely important (second only to farming) to have experts (priests) who could help ensure the gods stayed happy. This was an important step toward civilization. The Sumerians 3500 B.C. – 2370 B.C. In 3500 B.C., in the city-state of UR, a people called the Sumerians established the first civilization known in the world. This is still debatable, because within 100 years or so, other civilizations would pop up around the world. No one knows exactly where the Sumerians came from, although there is one theory that they may have come from around the Zagros Mountains. It is thought that perhaps the population there became too numerous for farmers to feed, and so settlers from the Zagros Mountains went south to find a new place to live. In any case, they settled in southern Mesopotamia in an area that became known as Sumer. Sumer grew into a region of many city-states, having no allegiance to one-another, populated by Sumerians. The Sumerians, along with other developing civilizations, seemed to possess different social relationships than their hunting and gathering ancestors. Hunters and gatherers survived by counting on men and women equally in the tribe for the collection of food. Both men and women were essential for the tribe’s survival. With agriculture and irrigation things seemed to have changed. Men and women started to specialize in their jobs. In other words, some jobs became “men’s work” and other jobs became “women’s work.” Men and women became identified with their work, and to do otherwise was unseemly. It became wrong for men to do some of the things women did, and vice versa. Men became associated with working in the fields, or if they were artisans, making a product. Women became associated with staying at home, raising the children, making clothes and doing other household duties. On occasion, women might take over their husband’s business while he was away or deceased, but mostly this social structure was rigid. At first, councils of wealthy elders governed Sumerian cities. In times of military emergency, however, a Lugal, meaning “great man” was elected to lead. The Lugal of a city-state may have been its chief priest prior to taking the reigns of government. Lugals began to lead for longer periods of time, eventually becoming kings. Sumerian kings (and other Mesopotamian kings) became the civic, military, and religious leaders of their city-states. Sumerians believed that humans were put upon this earth to serve the gods. When the gods were displeased, humans suffered. If the Tigris flooded, for example, and whole villages destroyed, that meant humans goofed at keeping the gods (or a god) happy. It was thought essential for the survival of the city-state to have people who knew what the gods liked and disliked. A priestly class arose out of this need. Priests specialized in practicing rituals. They could divine (tell) the will of the gods, what to do if the gods were displeased, and how to gain the gods’ favor. Priests were also the 1st to record the annual harvest and to study the heavens. Sumerian priests developed the 1st system of writing to keep records of crop yields and record observations of the heavens. The 1st writing was done in pictograms, in which concepts and things were represented by drawings. Later, these pictures became more and more abstract, and developed into Cuneiform, in which sounds were represented in wedge-shaped markings. 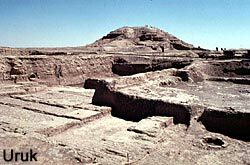 Sumerian city-states consisted of homes and buildings around a central temple. Eventually these temples became huge, tiered structures. They were several stories high with a large, square base. These huge temples were called ziggurats. 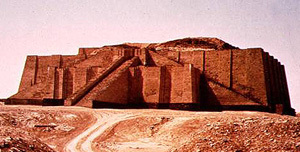 Ziggurats were dedicated to the chief god that protected the city. 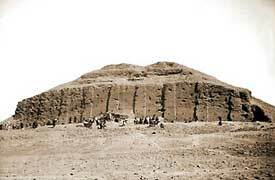 Ziggurats served as administrative (government), religious and economic centers. In some ziggurats the ground level was used as a market center and storage center for taxes and paid goods. The second level consisted of apartments for officials and meeting rooms, and the third level housed the royal family. The fourth and highest level was the temple area, where sacred rituals were performed. Gilgamesh (Bilgames in Sumerian) was an actual historical person. He was the fifth king of the first dynasty in Uruk. He probably ruled around 2750 B.C. The story of Gilgamesh is the oldest story in the world. 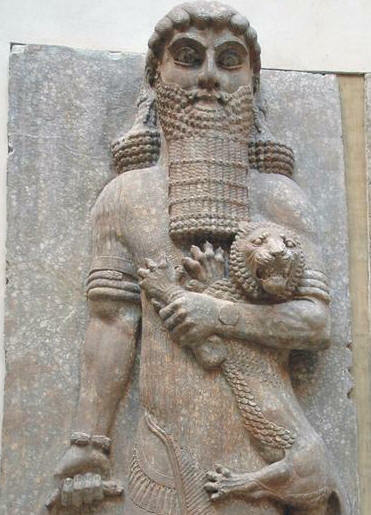 Gilgamesh was the world’s first super-hero. The Sumerians first wrote down stories about Gilgamesh in the third millennium B.C., but we have only fragments of these stories. The most complete story of Gilgamesh that we know of is a Babylonian version called, He Who Saw the Deep. He Who Saw the Deep is considered to be the standard story of Gilgamesh, and is what we call today, The Epic of Gilgamesh. The story takes place in Sumer, in the city-state of Uruk. The protagonist is Gilgamesh, the first king to rule Uruk after the Great Flood. Gilgamesh was a demi-god, two-thirds immortal, and one-third mortal. His mother was the goddess, Ninsun, and his father was the king, Lugalbanda. Gilgamesh was a powerful man, and none could equal his athletic talents. He was handsome, and looked like a god. However, he was not a wise king. He was young and brash. He treated his people harshly, and they prayed to the gods for help. The gods heard the prayers of the people of Uruk, and responded by creating an equal to Gilgamesh – the wild man, Enkidu. The goddess, Arura, created Enkidu. She pinched some clay, and threw it down into the wild. It was there she molded Enkidu and gave him life. Enkidu was supposed to look like man before he became civilized. Enkidu was covered with hair, wore no clothes, and lived with the gazelle in the wild. He constantly thwarted the ability of hunters to kill his animal friends. One such hunter saw Enkidu and was frightened by Enkidu’s appearance and immense physical strength. The hunter went to his father for advice. The father said to get the woman, Shamhat, from Uruk to seduce Enkidu. Once seduced, Enkidu would leave the wild. The plan worked. Shamhat came to Enkidu, seduced him, and Enkidu left with her to live with shepherds nearby. He cut his hair and became civilized. It was then that Enkidu learned about Gilgamesh’s harsh treatment of his people. Enkidu went to Uruk to stop Gilgamesh. They met and a great battle ensued. Neither side could win because Enkidu was created to be Gilgamesh’s equal in strength and athletic ability. Eventually, Gilgamesh and Enkidu realized that they were equally matched, and should respect one another. They became best friends, and Gilgamesh became a gentler king to his people. He was still not wise, however. Gilgamesh was still an impetuous youth, and reacted before he thought. When Enkidu confided to Gilgamesh of his longing for the old days in the wild, Gilgamesh immediately decided that the solution to this problem was for them to go on an adventure. Gilgamesh decided they must go and kill the most ferocious evil in the land – the ogre Humbaba. Humbaba was a horrible monster that guarded the sacred Cedar Forest. He was protected by seven deadly auras. 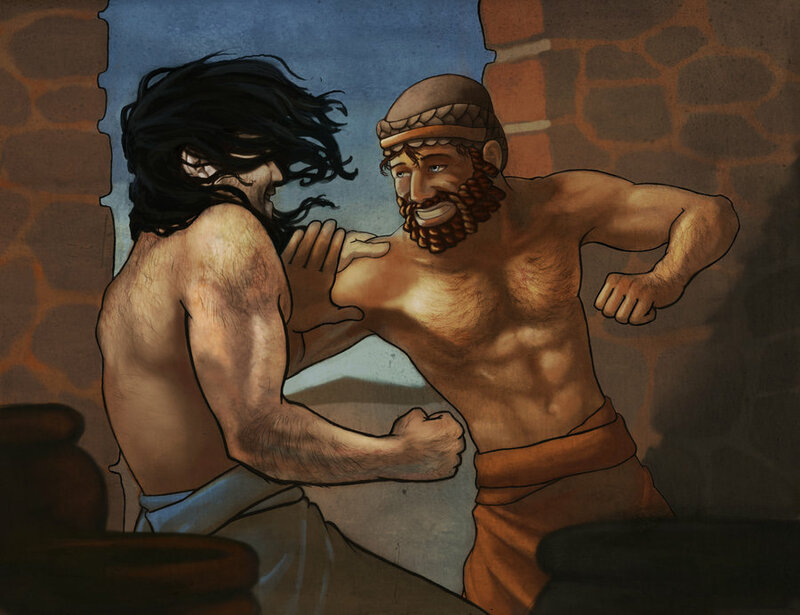 Enkidu had seen Humbaba before, and tried to persuade Gilgamesh it was not a great idea to try to kill him. Gilgamesh would not be dissuaded. Gilgamesh and Enkidu went on six-day journey to the sacred Cedar Forest. They encountered Humbaba, and with the help of the sun god, Shamash, were able to defeat him. 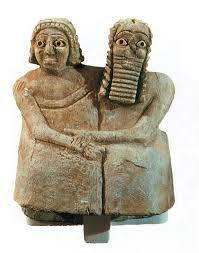 Humbaba begged for his life, but Enkidu persuaded Gilgamesh to cut off Humbaba’s head. They returned triumphantly to Uruk. It was at this time that the goddess of war and love, Ishtar, noticed Gilgamesh, and fell in love with him. She went to Gilgamesh proposing marriage, but Gilgamesh refused. He started going over a list of previous men Ishtar had wronged. Ishtar was greatly insulted, and went to the sky god, Anu, for revenge. 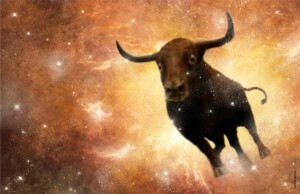 Anu controlled the Bull of Heaven (the constellation Taurus). 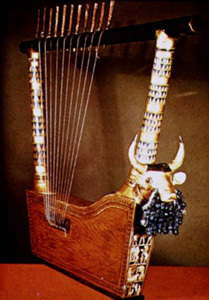 Ishtar demanded to be given the Bull of Heaven to inflict punishment on Gilgamesh. Reluctantly, Anu agreed. The Bull of Heaven was sent down to Uruk. He snorted once, creating a huge crater that swallowed a hundred men. He snorted twice, and another crater swallowed two hundred men. Reacting quickly, Enkidu grabbed the Bull of Heaven’s tail. The Bull was distracted. Gilgamesh rushed at the Bull with his sword, and plunged it deep inside the Bull’s body, killing it. Ishtar came down and yelled curses at them. Enkidu responded by ripping off the thigh of the Bull of Heaven and throwing it at Ishtar. The gods Anu and Enlil discussed what should be done with Gilgamesh and Enkidu for killing both Humbaba and the Bull of Heaven. They agreed Gilgamesh was too precious, and so they struck Enkidu with a deadly illness. Stricken, Enkidu came to Gilgamesh and suffered for twelve days until he finally died. Gilgamesh was overcome with grief. He had never experienced losing someone so dear to him. Then, fear began to set in. For the first time, Gilgamesh began to fear his own death. He abandoned Uruk in search of a way to become immortal. Gilgamesh knew of a man named Uta-Napishti who was said to be immortal. He traveled far and wide, and met many strange and wondrous beings. Eventually, Gilgamesh made it to Uta-Napishti, who lived on an island. Uta-Napishti told Gilgamesh his quest was futile – only the gods enjoyed immortality. Uta-Napishti explained that he was a special exception and explained why in a story. Uta-Napishti explained that there were many times in man’s history where the god, Enlil, became sick of all the racket people where making on Earth. Each time Enlil sought to diminish this noise by killing off a bunch of people. He either inflicted sickness, drought, or famine. This worked well for a while, but each time Enlil did this, the water god, Ea, would teach the survivors ways to survive the next illness, drought, or famine. So, Enlil’s success rate for killing off a bunch of humans was diminishing, and the racket people where making was becoming unbearable. Enlil’s solution was to create a great flood that would wipe all humanity off the face of the Earth. He made the other gods swear not to interfere by warning people. 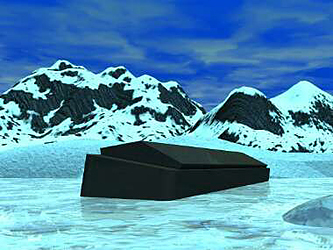 Ea, swore, but secretly went to Uta-Napishti, and without telling him why, Ea told Uta-Napishti to convert his house into an enormous ship. Ea instructed Uta-Napishti to put two of all the creatures on Earth into the ship as well as his workmen and his family. Uta-Napishti did exactly as he was told. Finally, a terrible storm came, and it stormed for six days and seven nights. Only those inside Uta-Napishti’s ship survived. Everything else was destroyed. The waters began to recede. After another seven days had passed, Uta-Napishti sent out a dove to find land. It came back. Next, he sent a swallow, but it too came back. Finally, he sent out a raven, which did not return, meaning the bird had landed on land. Uta-Napishti found land, and the survivors set about creating civilization again. When Enlil discovered there where survivors, he was furious at first. Later, he came to realize that Ea was wise to have survivors because there was no one to attend the temples to the gods and make sacrifices. The gods were starving. Enlil allowed Uta-Napishti and the other survivors live and go about rebuilding civilization. To solve the problem of future rackets made by people, Ea had the Mother Goddess, Belet-ili, alter people slightly. Before this time, people could only die through violence, famine, or illness. They did not die of old age. Belet-ili changed the life span of people. Now, they could die of old age. Uta-Napishti and his wife were rewarded with immortality, and taken to live far away on an island. Thus, Uta-Napishti explained why he was an exception and allowed to live forever. He told Gilgamesh it was pointless to seek immortality. He advised Gilgamesh to enjoy life while he has it. He should love his wife and children, be happy with his friends, and be merry. Gilgamesh was not persuaded, so Uta-Napishti challenged him to stay awake for six days and seven nights. He believed sleep was a close cousin to death, and Gilgamesh would have to conquer sleep before even thinking about conquering death. Gilgamesh tried, but he could not fight off sleep. When he awoke, Gilgamesh realized his failure and was deeply depressed. Gilgamesh decided to leave defeated. Before he left, however, Uta-Napishti told Gilgamesh that under the sea there was a magical plant, like a flower with thorns. If eaten, this plant made a man young again. It wouldn’t bring immortality, but it was better than nothing. Gilgamesh plunged into the sea and retrieved the plant. Unfortunately, before he could eat it, a snake ate it while Gilgamesh was away bathing in a pool. Gilgamesh had failed at becoming young again, and he sat down and wept. Sadly, he began his journey back to Uruk. It was on his return journey to Uruk that Gilgamesh finally became wise. He decided to take Uta-Napishti’s words of advice. He decided to live life to the fullest. Although he would not live forever, Gilgamesh knew his name would live on throughout history for his heroic deeds and accomplishments. He was now a good, wise king to his people. This ends what is left of the Epic of Gilgamesh. 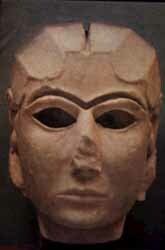 In another Sumerian legend, after Gilgamesh dies, he is made a god, and appointed to be the guardian of the Underworld. Sapere Aude! How is the moral of The Epic of Gilgamesh relevant to life in the modern world? Support your rationale with examples. Anu (An) – The sky god. He lives in a celestial palace far away from people. He is in charge of the Bull of Heaven. Enlil (Ellil) – Most powerful of all the gods. He rules over the affairs of gods and men from his temple on Earth. He is responsible for the Great Flood. 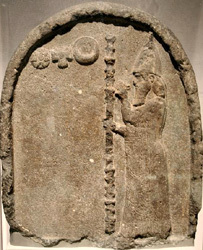 Ea (Enki) – God of water and wisdom. He is also mischievous. He lives in his freshwater ocean beneath the Earth. Mesopotamians believed the Earth was basically a huge, flat island surrounded by water on all sides and underneath. Shamash (Utu) – The sun god, and the god of truth, justice and travelers. He is the son of Sin. Sin (Nanna) – The moon god. He is the son of Enlil. His son is Shamash and his daughter is Ishtar. 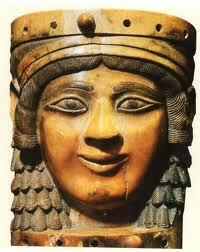 Ishtar (Inanna) – The goddess of love and war. She is considered to be similar to Aphrodite or Venus. Adad (Ishkur) – The god of storms. Marduk – The city god of Babylon. He became very important when the Babylonians conquered Mesopotamia. Ereshkigal – The goddess of the Underworld. She is bitter and in perpetual mourning. Pazuzu – A demon who protected women in childbirth. Mesopotamians believed humans were created to serve the gods. At first, there were no humans. The lesser gods had to work the land to feed themselves and the more important gods. Eventually the work became too much for them and they rebelled. The clever god, Ea, came up with a solution. He created the first people out of clay. Their only purpose was to toil and worship the gods – kind of a bummer, no? Mesopotamians believed that when they died they went to the Underworld, known as Kurnug. Kurnug means “Land of no Return.” It was also referred to as the “House of Darkness,” and the “House of Ashes.” You can imagine that people didn’t really look forward to an afterlife. It was a real downer, man. Shadows/spirits of the living dwelled in Kurnug. They lived off of soil and clay and wore feathered clothing, which allowed them to fly about. There was perpetual darkness. Mesopotamians believed that when a person died, his/her spirit passed through seven gates. At each gate the spirit removed an article clothing. This was a “peeling off” of one’s identity. Mesopotamians had no concept of a heaven for the good and a hell for the wicked. Everybody went to the same place. It did not matter whether you were a king or peasant in life, for your fate would be the same. You can imagine that Mesopotamians stressed doing memorable deeds while living, because once they were dead, that was it. How depressing! In 2370 B.C., Sargon of Akkad, the king of the Akkadians (a people to the north of Sumer) conquered Sumer and the rest of Mesopotamia. 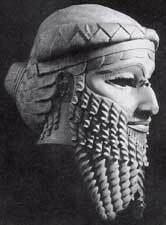 Sargon was important in that his was the first empire the world had ever seen. The Akkadians were the 1st to use Cuneiform for literature and not just record keeping. The Akkadians didn’t last long and lost control in 2200 B.C. All the Mesopotamian civilizations to follow – Akkadian, Babylonian, and Assyrian – adopted Sumerian culture and made it their own. 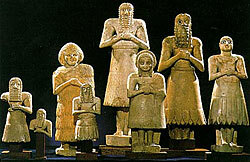 The Sumerians were the originators whom everyone copied. In addition to creating the first forms of writing, the Sumerians invented the plow, the wheel, and used bronze tools. Their impact was so great that we feel it today when we hear about the Great Flood. The story of the Great Flood can be found in the Torah, Koran, and the Bible. This flood story appeared 1st in the Sumerian legend The Epic of Gilgamesh. Let’s Get Some Order Here! – The Babylonians — 2000-1595 B.C. With the fall of the Akkadian Empire, a power vacuum existed throughout Mesopotamia. No lasting empire established itself until the coming of the Amorites out of the Arabian Desert. The Amorites were better known as Babylonians – named after the city they founded in central Mesopotamia called Babylon. 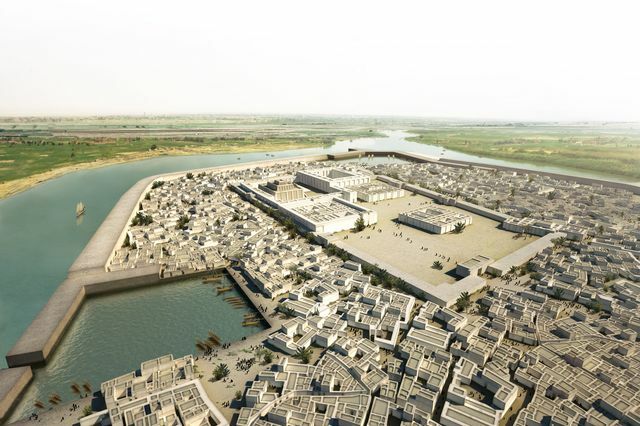 Babylon became the most well known city in all of Mesopotamia. It was supposed to have been breath-taking. Its ziggurat was immense. The walls surrounding the city were said to be so thick that chariots could easily ride atop them. A king of Babylon would have one the ancient wonders of the world built there – The Hanging Gardens. The most famous king of the Babylonians was, however, not this man, but one of its earliest kings – Hammurabi. Hammurabi was a great conqueror, and basically reconquered the old Akkadian Empire. Under his rule, Babylon controlled all of Mesopotamia. Hammurabi is not remembered mostly as a conqueror, however. His legacy was in the law code he established. Hammurabi wanted stability in his empire. He commissioned scholars to gather existing laws around Mesopotamia and codify them into one large code of laws. Hammurabi was one of the first kings to establish a code of statutory laws. Statutory law is very specific. It tells exactly what consequence will follow a specific action. For example, if you caused someone to lose an eye, Hammurabi’s Code said you lose an eye as punishment. 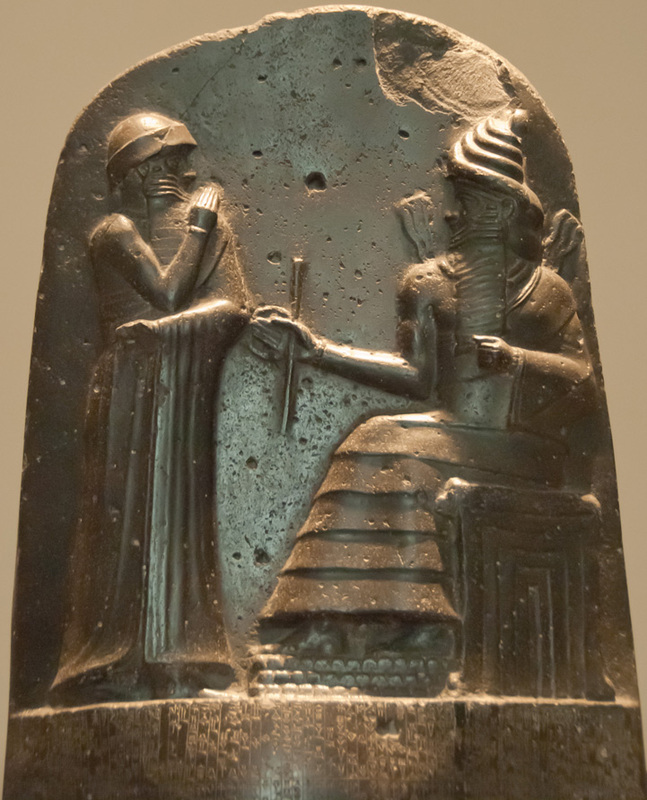 Modern law can trace some of its ideas to Hammurabi’s Code. Babylonians made great strides in mathematics. They worked in arithmetic, geometry and algebra. They used base-ten and base-sixty number systems. Babylonians had a 360-day year. We get our 60-second minute, our 60-minute hour, and our 24-hour day from them. 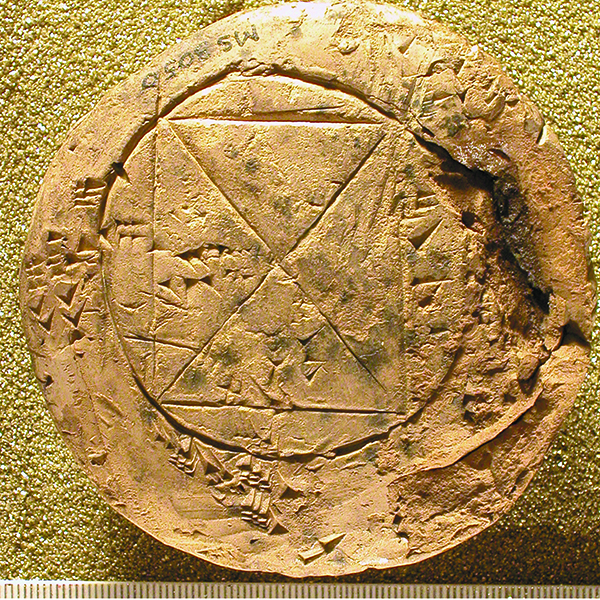 We also get the 360-degree measurement for a circle from the Babylonians. Babylonian dominance ended with the invasions of a people called the Kassites. The Hittites, an Indo-European people controlled Mesopotamia afterwards until the coming of the Assyrians. Both Hittites and Assyrians used iron weapons. 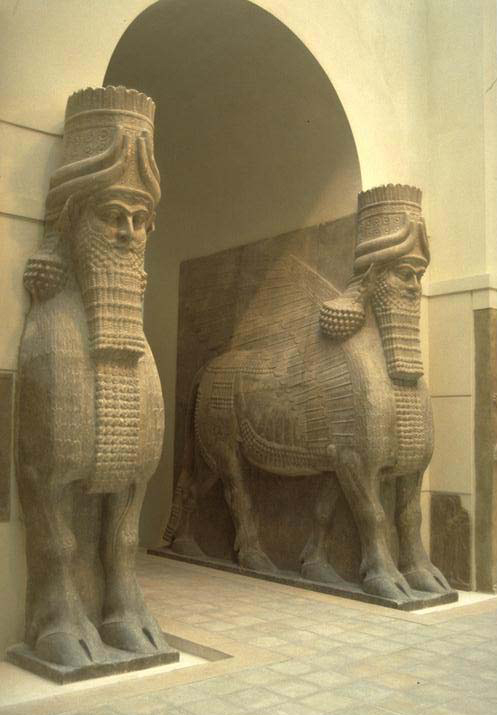 The Assyrians 1300 B.C. – 626 B.C. A. When the Assyrians come, you better pray for salvation! The Assyrians were known as the most warlike and cruel of the Mesopotamian peoples. They were geniuses in war. They had a well-organized and well-equipped army. They made use of chariots and simple siege equipment. Plus, they relied on their reputation for brutality to get people to surrender without much of a struggle. Ashurbanipal, 669-626 (the last of the powerful Assyrian kings) was especially known for his cruelty. The Assyrians conquered all of Mesopotamia, Palestine, and Egypt. Assyrians built permanent roads to move troops quickly. They established the first postal system to allow communication between the capital of Nineveh (in northern Mesopotamia) and the outskirts of the empire. The Assyrians spread themselves too thin and could not control their empire for very long. Various enemies attacked and the empire collapsed. The Chaldeans were the strongest of Assyria’s enemies and they assumed control. The Neo-Babylonians 612 B.C. – 539 B.C. The Chaldeans are also known as Neo-Babylonians, because the capital of their empire was Babylon. The Neo-Babylonians greatest king was Nebuchadnezzar. He was the Babylonian king who had the Hanging Gardens built. The Persians destroyed the power of the Neo-Babylonians in 539 B.C. under the leadership of Cyrus the Great. The king of Babylon at the time of the invasion was a man called Nabonidus. Nabonidus may have been mentally ill. He stayed many years away from his kingdom, was cruel, and forced the people of Babylon to remove the images of their gods. Nabonidus preferred the god Sin over the traditional god of the Neo-Babylonians, Marduk. Needless to say, Nabonidus was not popular in Babylon. Cyrus defeated Nabonidus in battle, and Nabonidus fled back to Babylon. Cyrus had no trouble in getting Babylon’s inhabitants to open the city’s gates. Cyrus entered Babylon without a fight, and Nabonidus was presumably executed. Cyrus made his son Cambyses the new king of Babylon. But that’s another story already told.